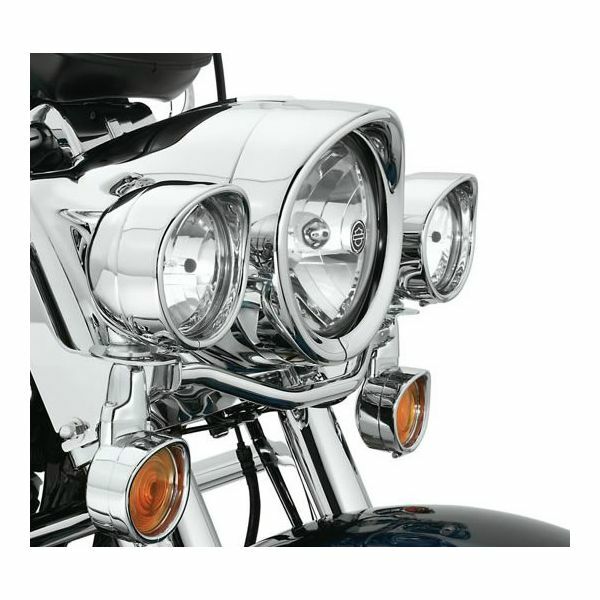 A must have complement to the Visor-Style Headlamp Trim Ring, these chrome-plated Visor-Style Trim Rings recess the passing lamp into the housing, and add a traditional "eyebrow" design to the passing lamp shell. The trim ring stretches the profile of the bike for a long, lean appearance. 69732-05 fits '62-later models equipped with Original Equipment or accessory Auxiliary Lamp Kits. 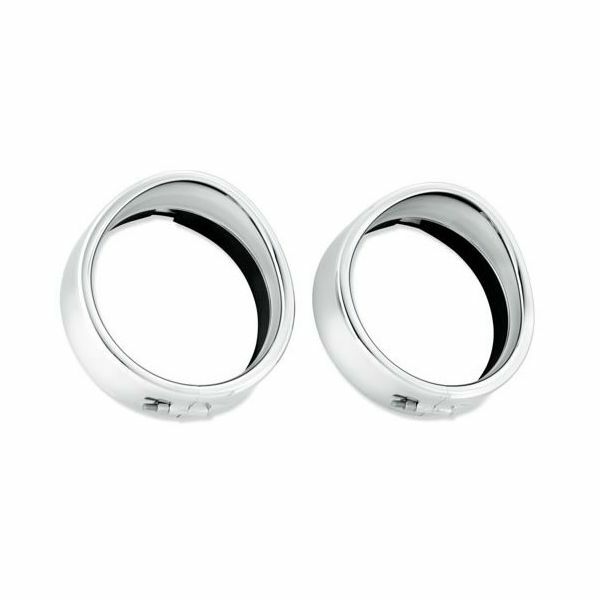 (Sold in pairs).